Asheville Awake Podcast | Listen Free on Castbox. 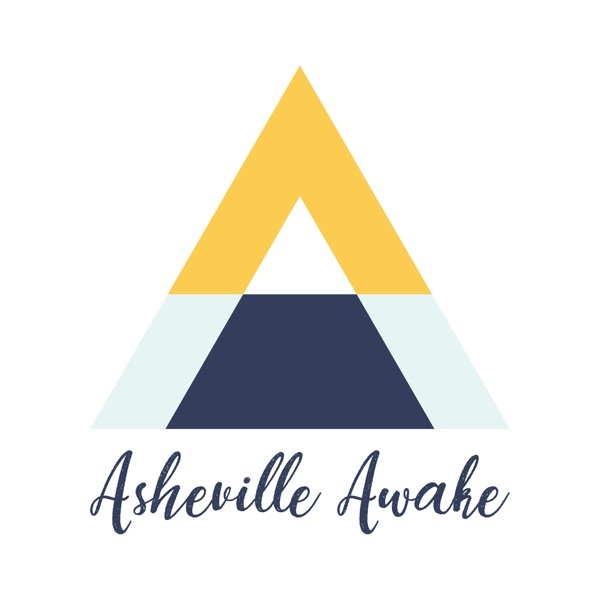 Asheville Awake the Podcast is a platform for creative ideas about what it means to serve and give back to the community that you live in. Let's face it - Asheville is great because of the people that make it great. This is a space where we can have a conversation about all of the amazing things going on in our 'awake' town and the people that are changing lives every day. Jessica Chilton of SPARK (www.JessicaChiltonSPARK.com) is a Business Coach and Expressive Arts Therapist who has helped thousands of people around the world to love and liberate their truest self and unleash the work they’re uniquely designed to do. Through her signature program, Love Liberate Launch (www.LoveLiberateLaunch.com), Jessica blends business building with spiritual growth, personal transformation, and creative expression to help rising entrepreneurs create the business they were born to lead. Her newest program, Love Liberate Lead (www.LoveLiberateLead.com), is designed for the established entrepreneur who is ready for a pivotal year of significant transformation in their work, life, and leadership.Jessica recently founded The Shift from Fear to Love community initiative because it represents the deeper mission of her business – to shift the world from fear to love, one liberated leader at a time. The 2019 live event takes place on March 31, 2019 at Diana Wortham Theatre in Asheville and is a blend of personal transformation, inspiring performance, community building, and leadership development. Join us at www.ShiftFromFearToLove.com. Caroline Whatley and Erin McGrady are the team behind Authentic Asheville. They are Squarespace web designers, photographers and travel writers, advocates for National Parks and public lands, adventurers on the lookout for safe and friendly LGBTQ places and spaces, and trail runner enthusiasts with a penchant for craft beer. They love meeting new people. Say hey at www.authenticasheville.comLearn about this amazing couple as we chat about:1. How Authentic Asheville came to be.2. The best and worst of van life.3. What it means to be authentic and LGBTQ life on the road.4. Tolerance, Minorities, and Awareness.5. Defining "family" and listening to your heart. Ep 11: Following Your Heart Wherever The Road Takes You With Authentic Asheville. Chronic back pain and the desire to feel truly at home in her own skin led Michèle to take lessons and train to be a teacher of the Alexander Technique. This simple and proven education in the “how” of coordinating body-mind, increases ease of movement by redirecting excessive tension into useful energy. A common result is relief from pain and distress caused by everyday habits, accompanied by a simultaneous increase in awareness/sensitivity while reducing reactivity. Michèle completed the 3-year, 1600-hour training at The Alexander Educational Center in Berkeley, CA and has been teaching individuals and groups since 2009. Suzannah Tebbe Davis is a contemporary medicine woman who weaves a diverse blend of mind/body/spirit offerings based on over two decades of study in indigenous wisdom traditions and western theoretical practices. Suzannah has also held key leadership positions in social justice issues and systems change. In addition to her private practice, where she offers workshops, retreats, and ceremonies internationally for individuals and groups, Suzannah serves in a leadership role within Asheville Community Roots, a local grassroots movement which incorporates spirituality as a fundamental aspect of activism.For more information: www.yourawakenedlife.net. Paige’s warm and welcoming style will invite you to stretch, strengthen, balance, move energy, release stress and tension, and cultivate a sense of wholeness you can take with you back into the world. She specializes in gentle, slow-flow, yin, and restorative yoga, including meditation, relaxation, and simple breathwork. In today’s episode, we explore how yoga can be a source of inspiration and support to nourish the body and mind regardless of how messy life can get. Paige reminds us that yoga is so much more than what we find on the mat.